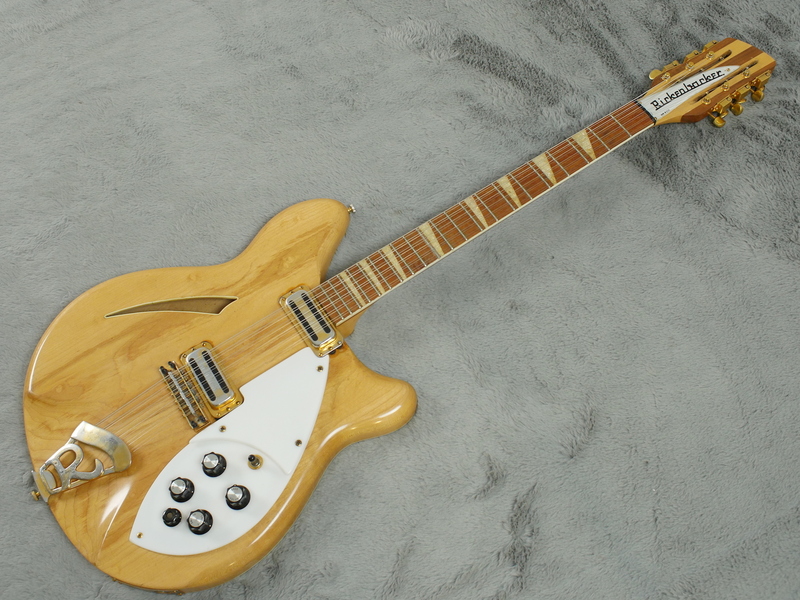 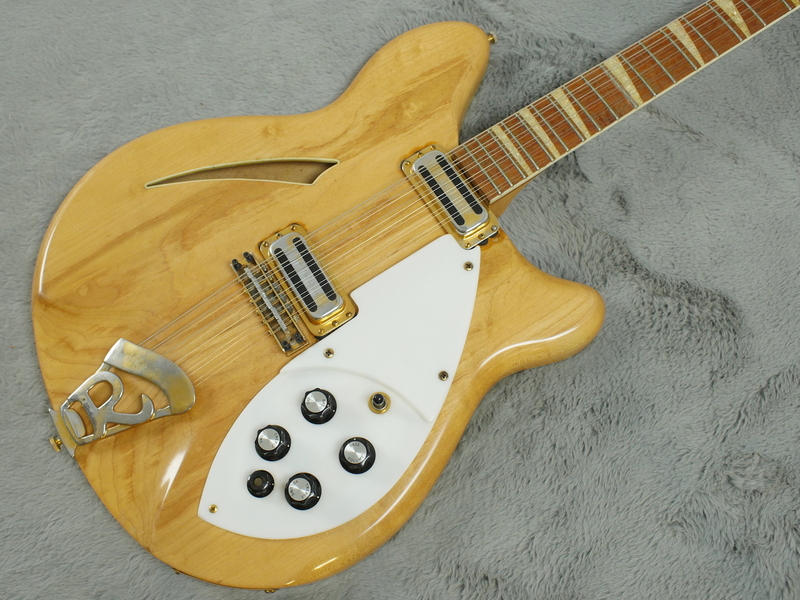 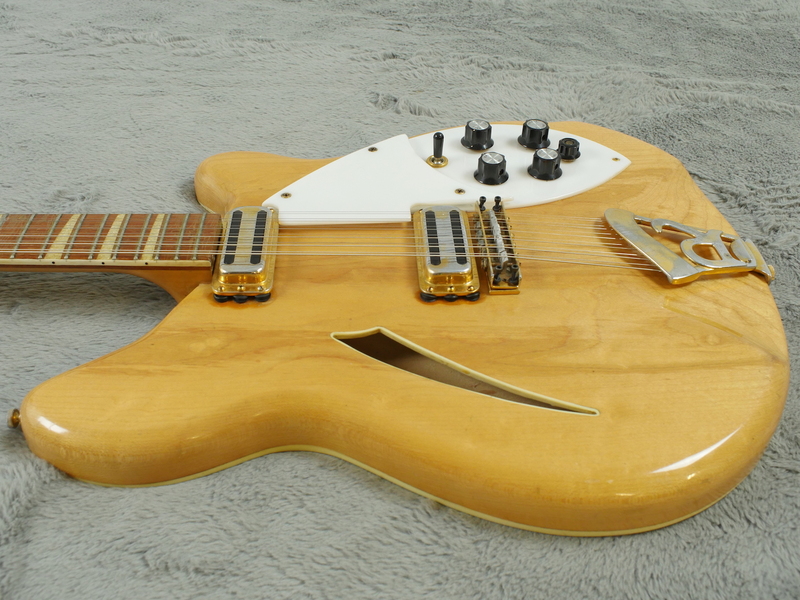 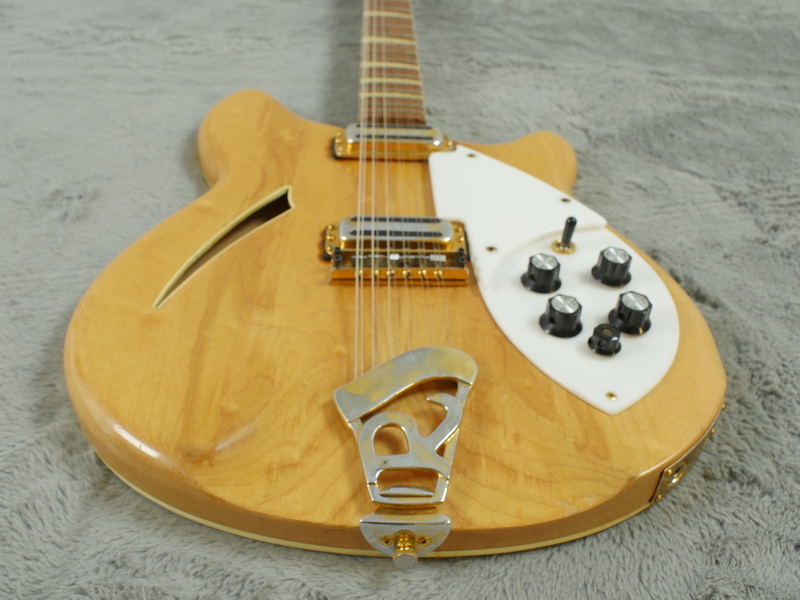 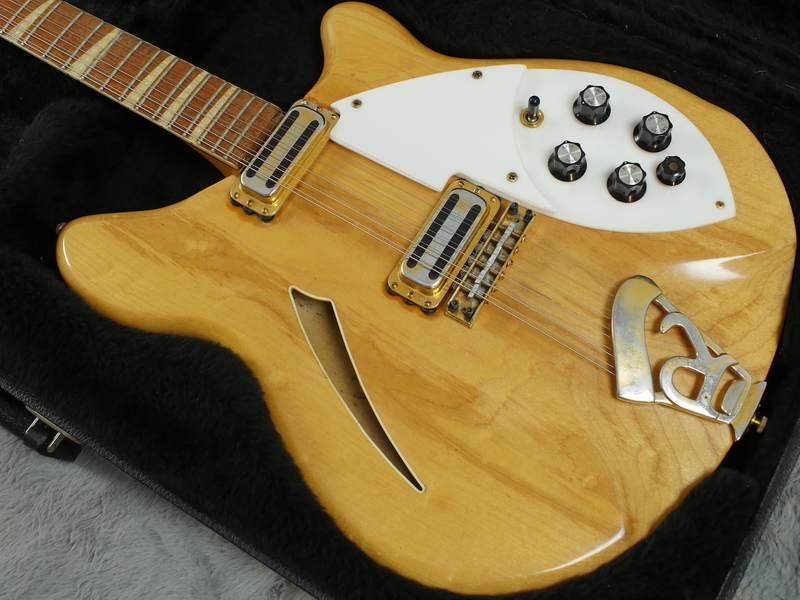 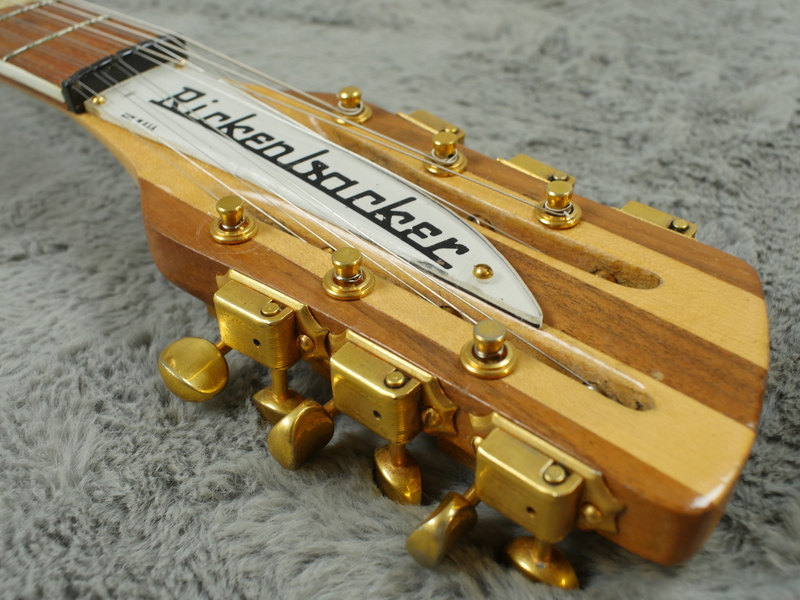 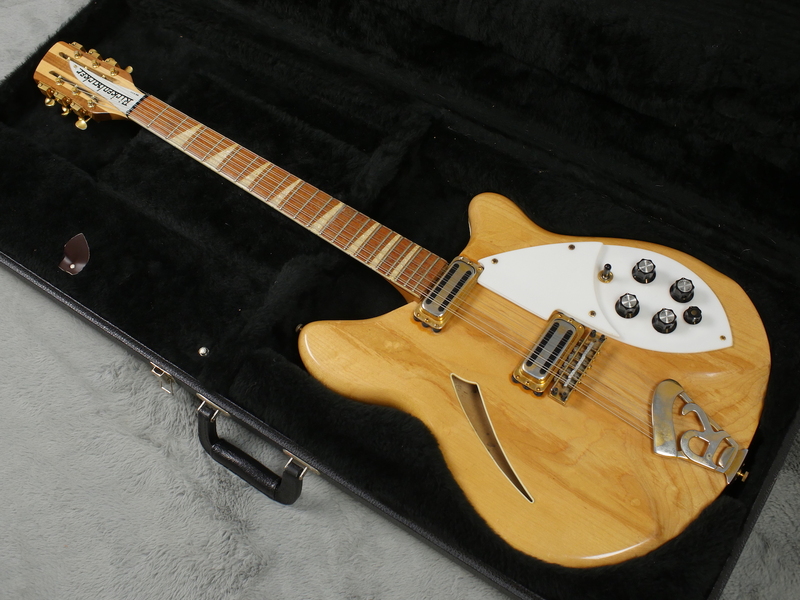 Classic and beautiful, vintage 1967 Rickenbacker 360 12 string in the best colour - Mapleglo with this example having the very rare, factory fitted gold hardware. 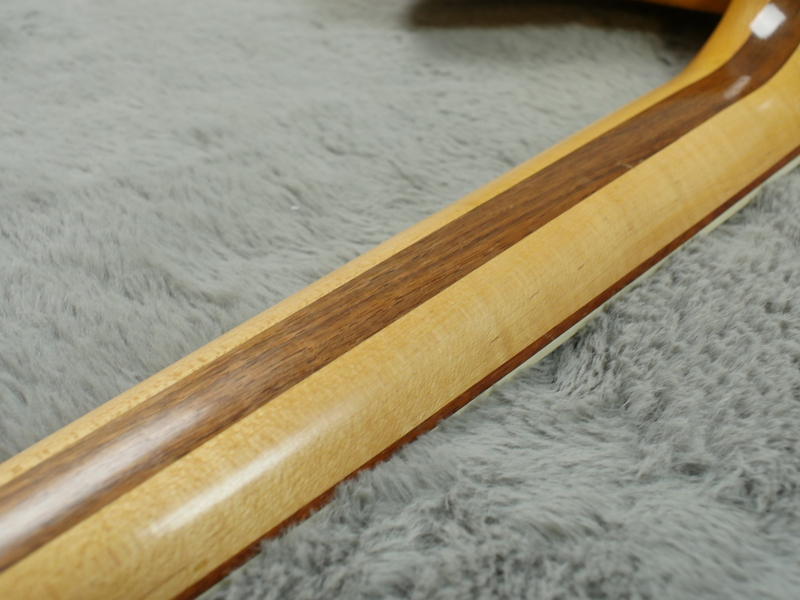 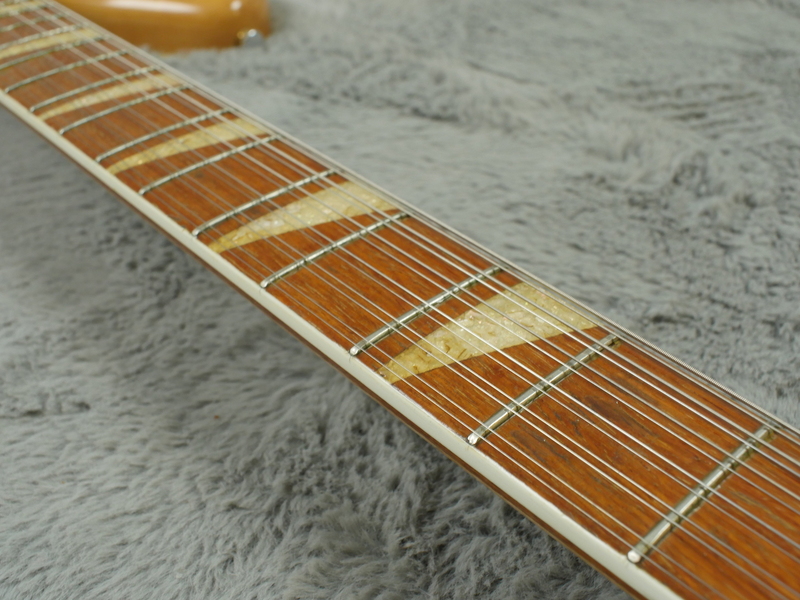 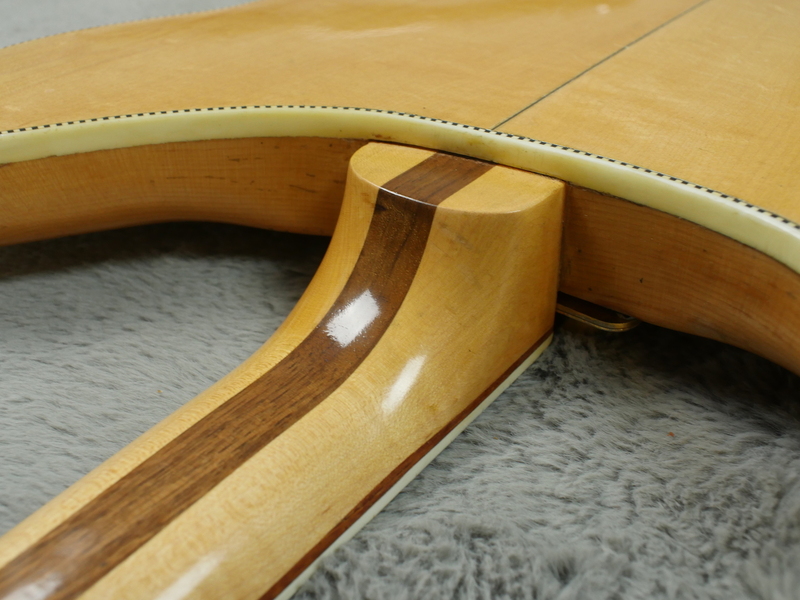 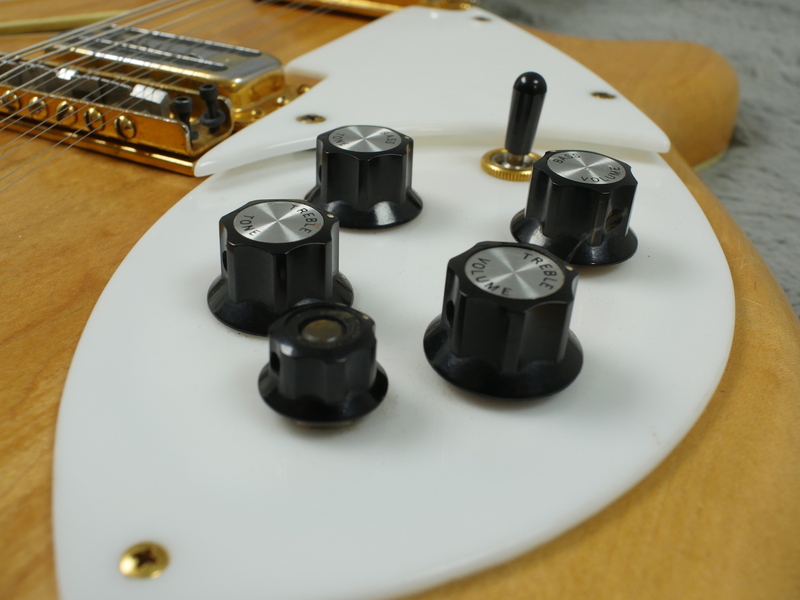 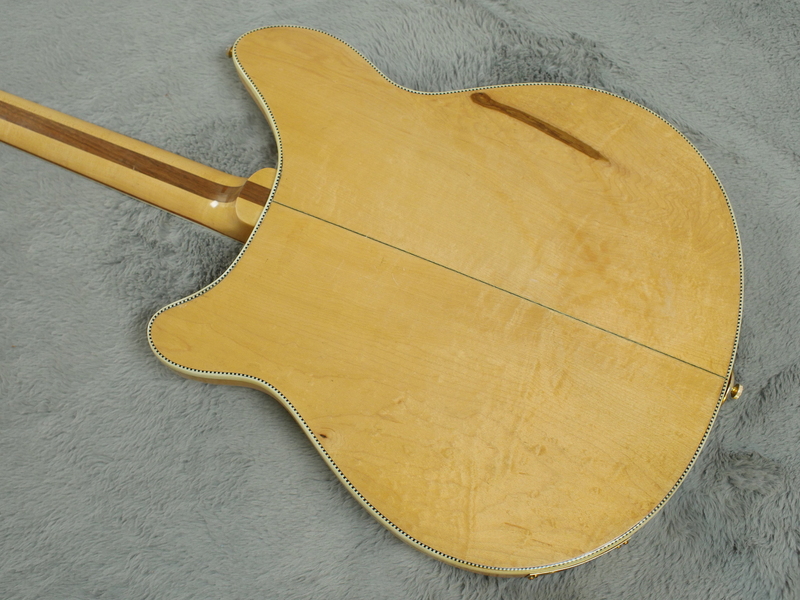 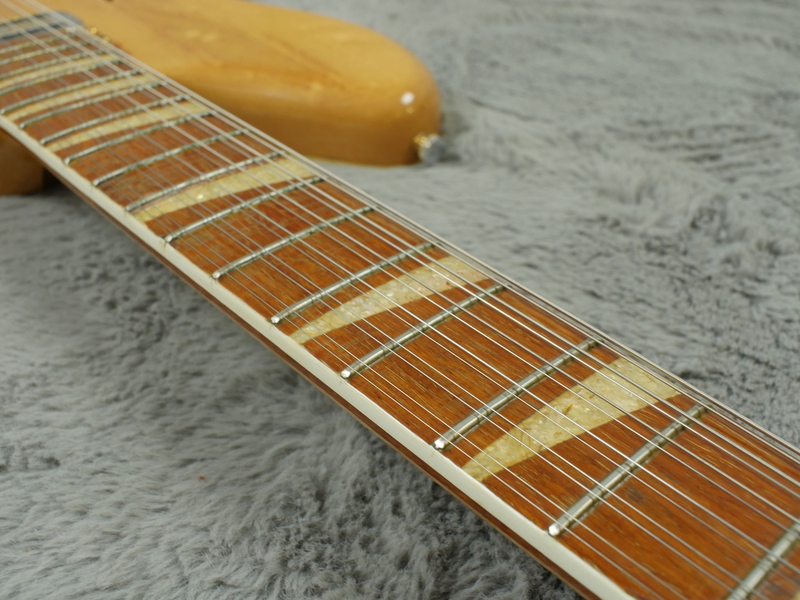 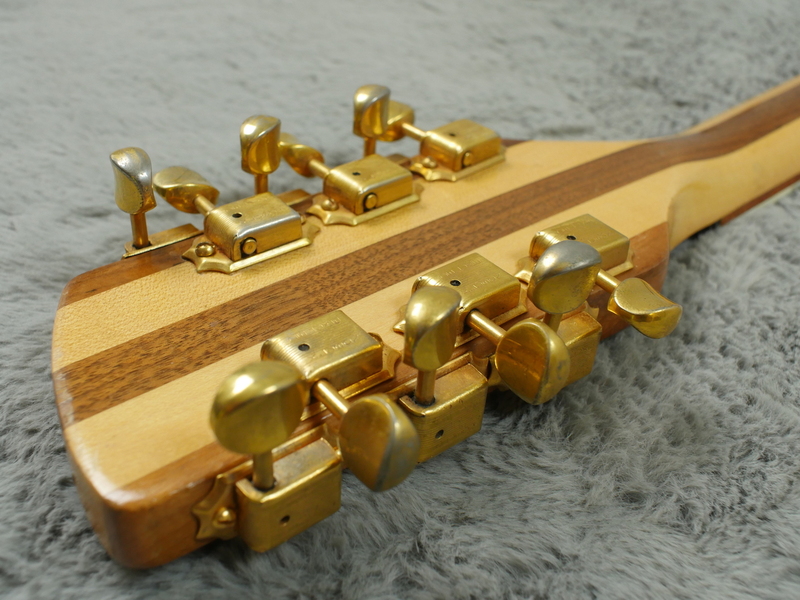 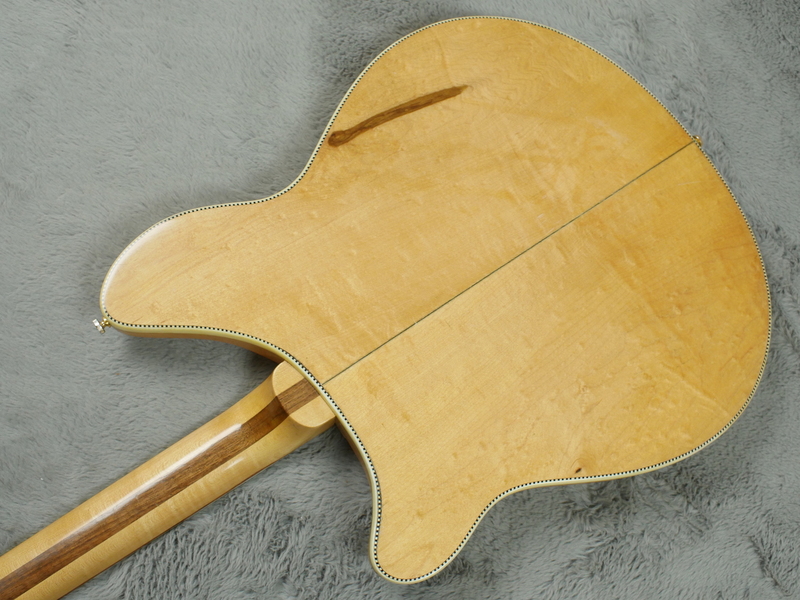 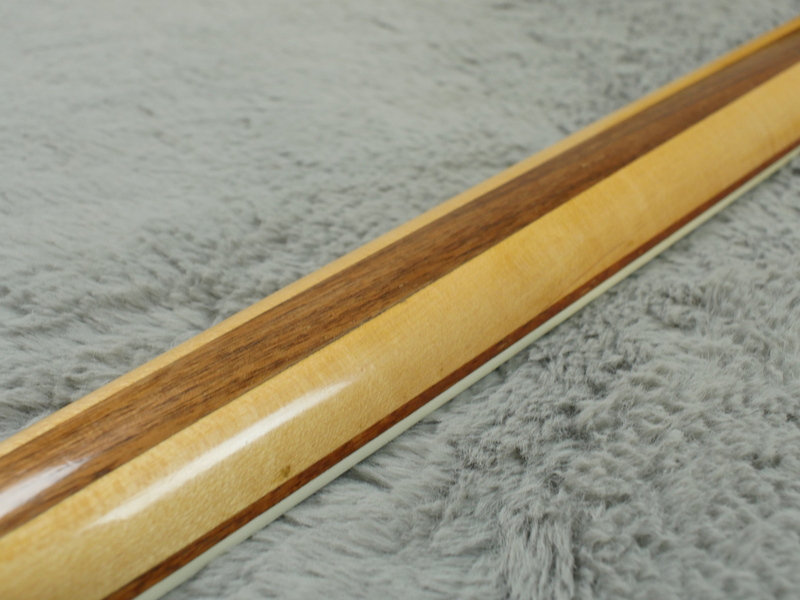 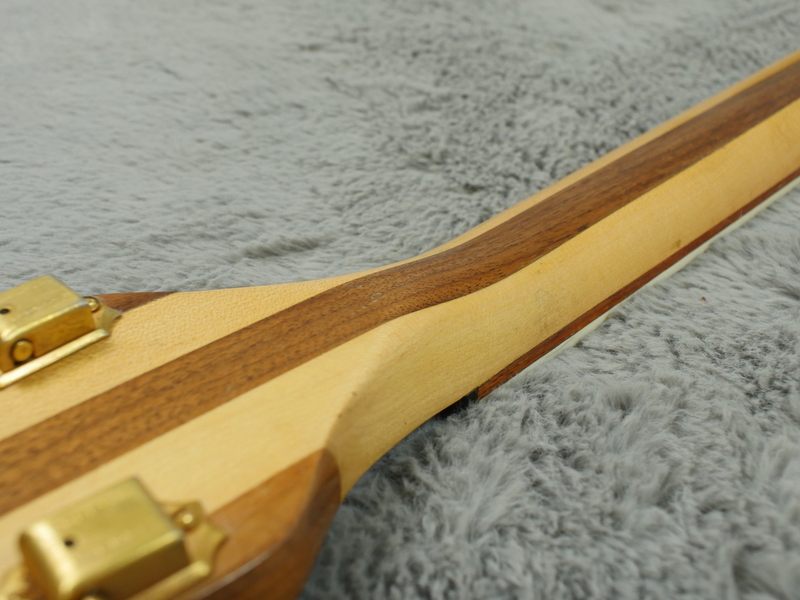 It has a brilliantly low action which almost plays itself and the sound…. 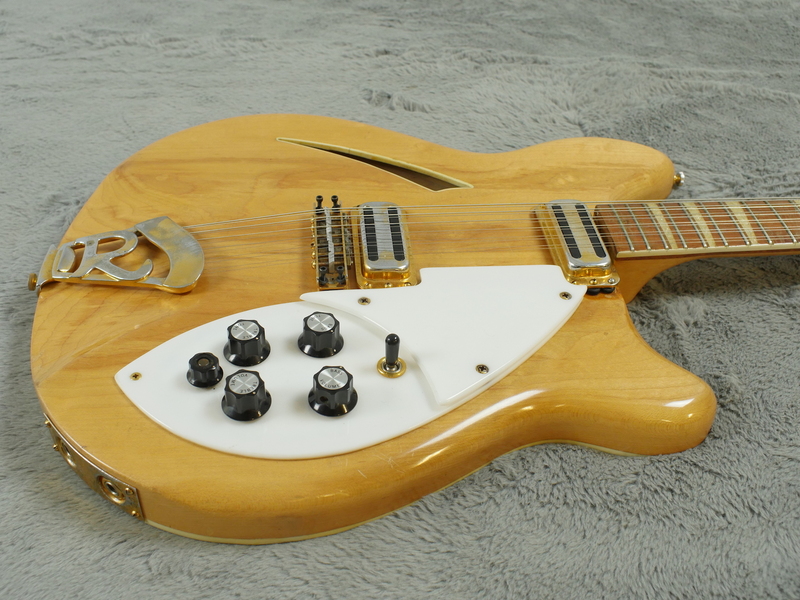 well I am sure you can imagine must be one of the finest electric 12 string tones you can get. 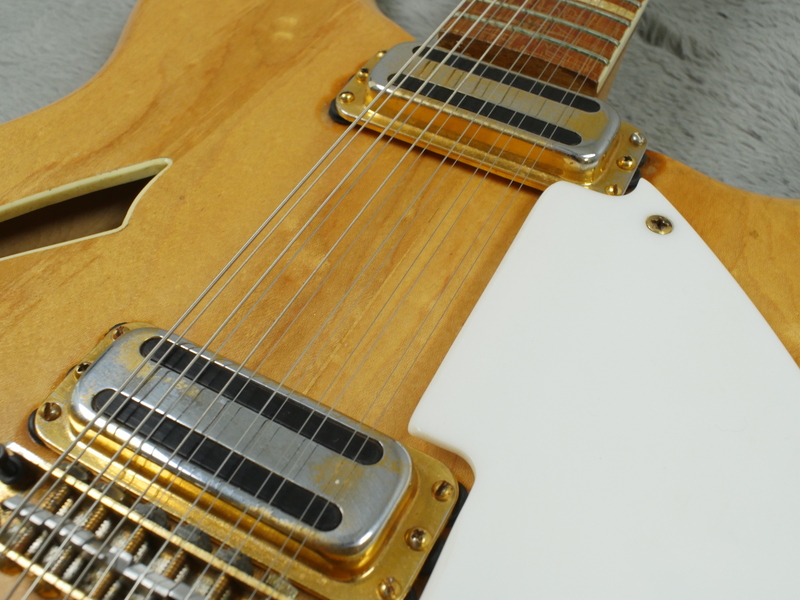 Beautiful condition with crushed pearl inlays, chequerboard binding, classic ‘R’ tailpiece and two scintillating original ‘toaster’ pickups all in mega rare gold finish which in our opinion, looks so much nicer against the original natural Mapleglo finish than the common chrome hardware does. 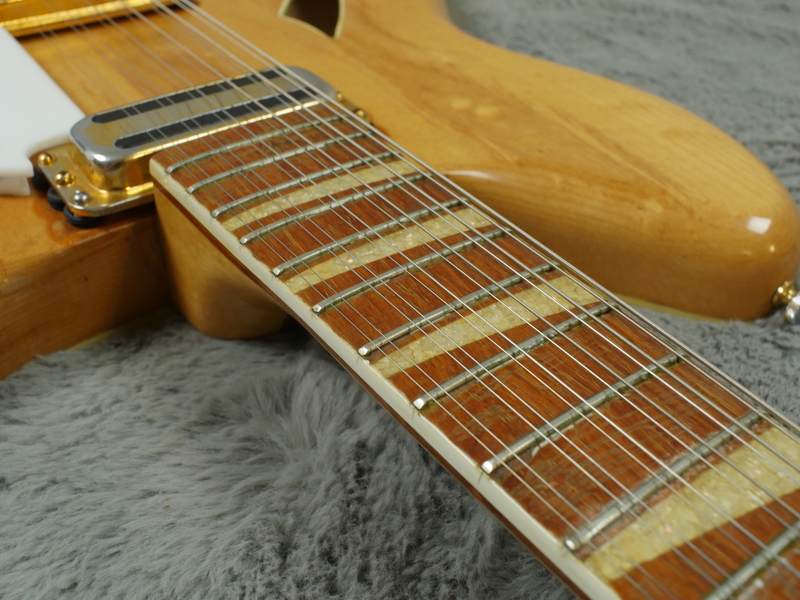 Dead straight neck which feels very comfortable to play, especially with this guitar’s real low action. 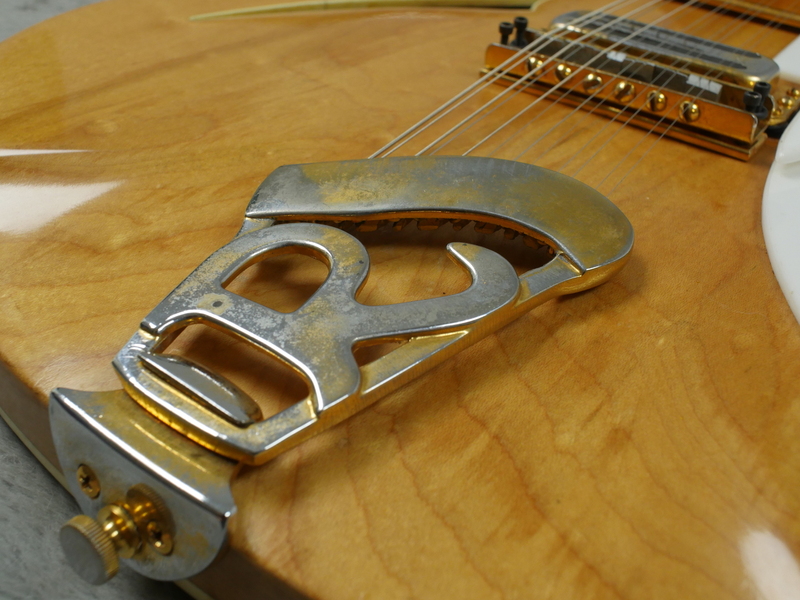 Only issue is one extra strap button hole on the lower horn. 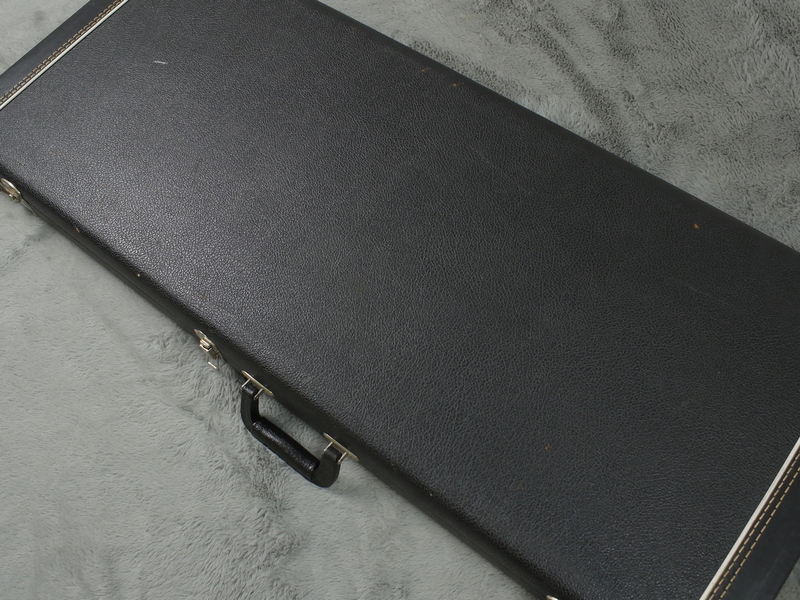 Case is a very sturdy, black tolex with black interior and obviously designed to fit this guitar perfectly. 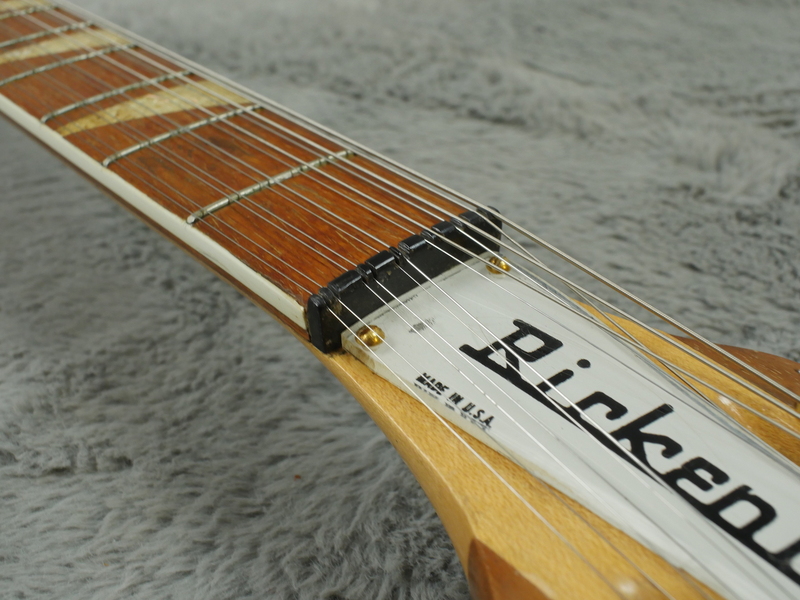 Amazing sounding guitar in every way, in every single pickup and tone/mix combination. 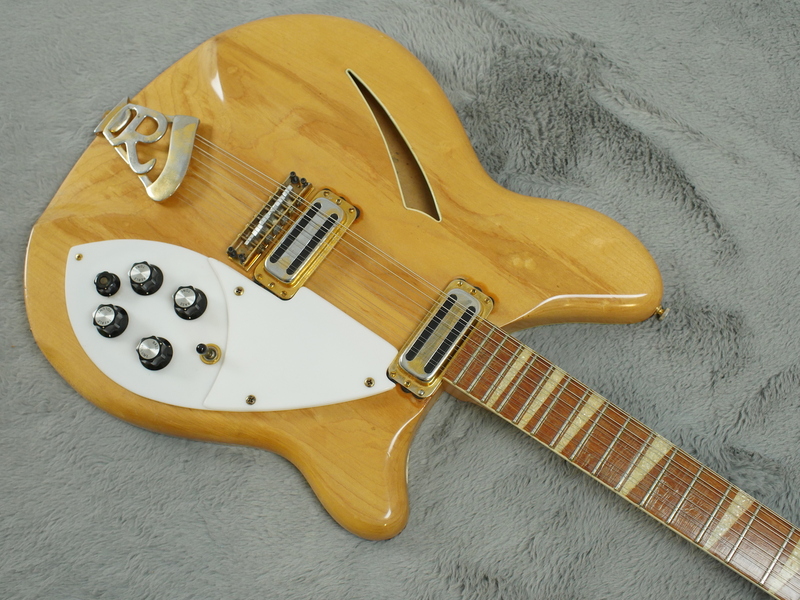 There is not one setting that sounds naff on this superb guitar. 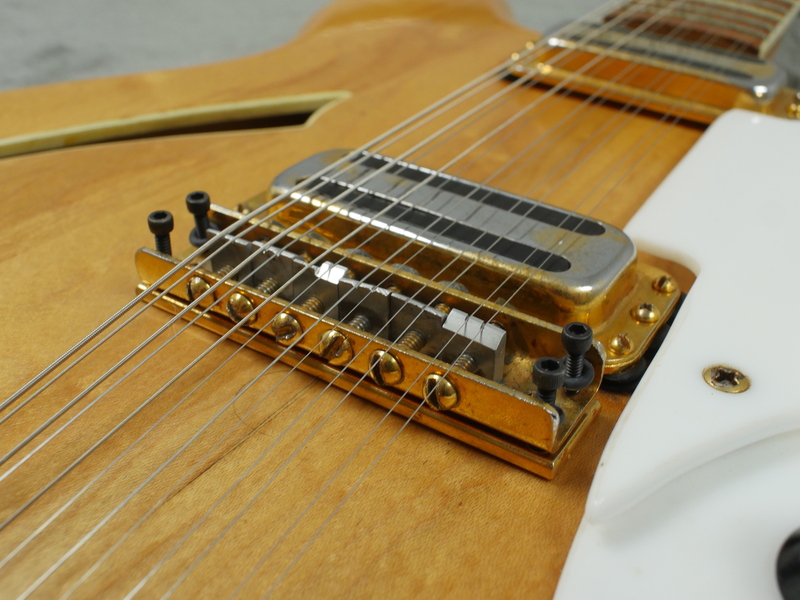 Both pickups are totally original and very strong sounding with all the sparkly chime you could ever wish for.